"The new book of sermons is *amazing*... Besides being fun to read, Sister Carolyn's insightful approach to some very difficult questions is something that we can *all* benefit from... Should be at the top of any Synapsing Sister's holiday list!" -- April Applegate, Central Illinois. 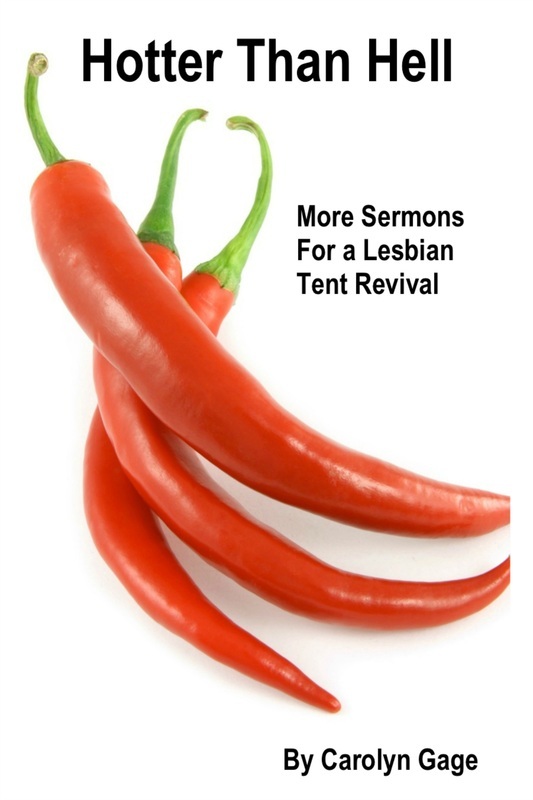 A third collection of sermons from the Lesbian Tent Revival, comprised of more than ten hour of sermons and held over five consecutive days at the Michigan Womyn's Music Festival, was smokin' hot! Here, in print, are the sermons... revised and expanded. Read some of the hottest, in-house, radical lesbian-feminism gospel-preaching around!